New Pricing Announced!! Attend the Ramfjord Symposium with Early Bird pricing until May 15, 2018. Abstract submission now closed. Please submit your poster powerpoint by May 30, 2018. The 12th Ramfjord Symposium is a tribute to Dr. Sigurd Ramfjord and his contributions to the field of periodontics. The program brings together internationally renowned speakers who have expertise in long-term periodontal care and emerging scientifically-based treatments. It provides a comprehensive insight into critical issues involved in delivering ideal treatment for clinical practice. This year, symposium Scientific Chairs Dr. William Giannobile and Dr. Hom-Lay Wang will preside over lectures and a poster session on the topic of Technology and Digital Revolution for Periodontal and Implant Therapy. On Thursday afternoon, presymposium lectures, a reception, and poster session will be held on the 4th floor of the Rackham Building without a registration fee. 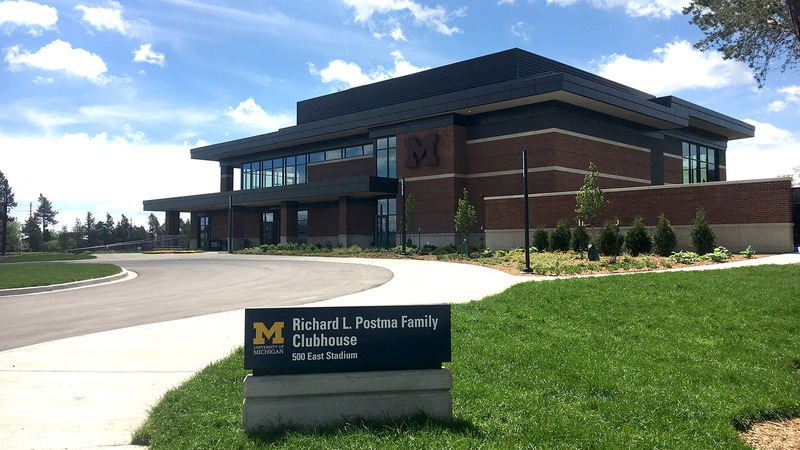 Social events include a special Friday night reception that will be held at the new University of Michigan Golf Course’s Richard Postma Family Clubhouse. Sigurd P. Ramfjord, a pioneer in treatment of periodontal disease, was born in 1909 in Kolvereid, Norway. He received his dental education at the Oslo University School of Dentistry in 1934 and subsequently practiced dentistry in Norway for 12 years before coming to the University of Michigan in 1946 for graduate work. He earned a master's degree in periodontics in 1948 and a Ph.D. in oral pathology in 1951. By 1963, he not only had joined U-M faculty but also served as chair of the Department of Periodontics and Oral Medicine – a position he continued to hold until 1981. He is credited with performing the first long-range study of various techniques of periodontics, the branch of dentistry concerned with gums and other structures that support teeth. He followed a group of patients for more than 10 years, bringing scientific comparison data to the field. The dental education program Ramfjord developed over the years known as "the Michigan Concept" has been emulated around the world. He organized the first World Workshop on Periodontics in 1966, where scientific goals for the field of periodontology were established. A prolific writer, Ramfjord authored two textbooks and more than 90 publications. In recognition of his worldwide influence, he received a number of honors and awards over the course of his career, including the Gold Medal Award in 1973 from the American Academy of Periodontology. Apart from his many other achievements, Ramfjord was active in many dental organizations. He served as president of the American Academy of Periodontology and also served as director and chairman of the American Board of Periodontology. He was a fellow of the American Academy of Oral Pathology, the American Association for the Advancement of Science, the American College of Dentists and the International College of Dentists. What’s New in Dental Laser Therapy? - Er: YAG Laser in Periodontics and Peri- Implant Therapy? Dr. Aoki received his DDS degree from Tokyo Medical and Dental University (TMDU), Japan in 1989. He was awarded a PhD in 1996 and currently works as Junior Associate Professor at the Department of Periodontology, TMDU. He has been engaged in Er:YAG laser research since 1991. Dr. Aoki received the “Best Presentation Award” from the International Society for Lasers in Dentistry (ISLD) in 1992 and 1998, the “T. H. Maimann Award” from the Academy of Laser Dentistry (ALD), USA in 2001, and the “Scientific Award” from the Japanese Society of Periodontology (JSP) in 2013 for excellence in Er:YAG laser research in dentistry. From 2003 to 2004, he was a Visiting Assistant Professor at the Department of Preventive and Restorative Dental Sciences, UCSF, USA. He contributes to ALD (Science & Research Committee Consultant) and World Federation of Laser Dentistry (WFLD) (Asian Pacific Division Committee Member). Dr Benhamou received a B.Sc. and D.D.S. degree from McGill University. She obtained her degree in periodontology and implant surgery in 1989 from the Goldman School of Graduate Dentistry in Boston. Dr Benhamou was Past Director of the Division of Periodontics of McGill University dental School. Currently, she remains an Associate Professor teaching in two multidisciplinary residency programs. She is also a visiting professor at the University of Manitoba in the periodontology program. She is a Fellow of the American College of Dentists and Fellow and Speaker of the ITI and a member of numerous professional organizations. Her private practice is in downtown Montreal. Dr. Daniel Buser is Professor and Chairman at the Department of Oral Surgery at the University of Bern in Switzerland. He spent 3 sabbaticals at Harvard University in Boston (1989-91), at Baylor College of Dentistry in Dallas (1995), and at the University of Melbourne (2007/08). He served as President of various academic associations including the European Association for Osseointegration (EAO) in 1996/97, the Swiss Society of Oral Implantology (SSOI) in 1999-2002, the Swiss Society of Oral Surgery and Stomatology (SSOS) in 2002-07, and ITI in 2009-2013. Currently, he is a member of the Board of Directors of the Osteology Foundation (2004-), and serves as President of the Swiss Implant Foundation (2007-). He received several scientific awards by professional organizations such as the ITI, the AO, the AAP and the AAOMS. In 2011, he received an Honorary Professorship by the University of Buenos Aires, and in 2013 the Brånemark Osseointegration Award by the Osseointegration Foundation/Academy of Osseointegration. His main research areas are in tissue regeneration around dental implants, surface technology and Guided Bone Regeneration. He has authored and co-authored more than 300 publications, case reports and several text books including two GBR books and two ITI Treatment Guides. He widely lectures at national and international conferences. Nicole is a registered dental hygienist who works in a busy periodontal office providing non-surgical and preventive care. Nicole believes the best patient care happens when combining her dental hygiene knowledge with the latest technology. She is a recognized expert in training dental professionals in areas of periodontics, including peri-implantitis. Nicole has delivered multiple educational presentations at national venues such as the Osteology USA symposium, as well as the Institute for Dental Implant Awareness, and the University of Vermont Diabetes Research Center, as well as numerous other clubs and professional groups in New England. Nicole holds many certifications including CO2, Diode and Nd:Yag laser certification. She is currently the only dental professional in Vermont who is certified in Perioscopy. Nicole earned her hygiene degree and her BA from the University of Vermont. She also holds a MBA from Champlain College. Danielle Furgeson is a Registered Dental Hygienist and Clinical Assistant Professor at the University of Michigan School of Dentistry, and has over 15 years of experience in oral health care. She holds a Doctor of Health Science Degree from Nova Southeastern University, and a Master’s of Science Degree from the University of North Carolina School of Dentistry. Her research interests include interprofessional education/collaboration and its impact on health outcomes, clinical techniques/interventions, and patient safety. Janet Kinney received her Bachelor of Science Degree in Dental Hygiene from the University of Michigan in 1983. Much of Janet’s clinical practice has been in the specialty of periodontics - an area of dentistry she finds both personally and professionally rewarding. For several years Janet practiced overseas in Zurich, Switzerland, returning to the United States in 2004 in order to commence the Master’s Degree Programs at the University of Michigan in both Dental Hygiene and Clinical Research and Statistical Design. Janet is an active member of the American Dental Hygienists’ Association, Past President of Nu Chapter, Sigma Phi Alpha (Dental Hygiene Honor Society), and Past Secretary of the University of Michigan Dental Hygienists’ Alumnae Association.Janet is a Research Fellow at the Michigan Center for Oral Health Research participating in clinical trials. She is currently involved in an investigation for the diagnosis of periodontal disease using microfluidic amounts of oral fluids for the detection of periopathogenic biomarkers. She is also involved in a clinical trial investigating a pharmacologic agent in the relationship of bone regeneration, periodontal disease and osteoporosis. Dr. Mandelaris attended the University of Michigan from undergraduate through dental school. In 1999, he completed a three-year post-graduate residency program in Periodontology at the University of Louisville, School of Dentistry, where he also obtained a Master of Science degree in Oral Biology. Dr. Mandelaris is a Diplomate of the American Board of Periodontology and has served as an examiner for Part II (oral examination) of the American Board of Periodontology certification process. He has served as an Assistant Clinical Professor in the Department of Oral and Maxillofacial Surgery at Louisiana State University, School of Dentistry (New Orleans, LA) and currently serves as an Adjunct Clinical Assistant Professor in the Department of Graduate Periodontics at the University of Illinois, College of Dentistry (Chicago, IL). He is a Fellow in the American College of Dentists and the International College of Dentists. In 2014, he was one of 52 periodontists worldwide selected to participate in the American Academy of Periodontology’s commissioned Periodontal Regenerative Medicine World Workshop on Emerging Regenerative Approaches for Periodontal Reconstruction. A nationally recognized expert, he was appointed by the American Academy of Periodontology in 2015 to co-chair the best-evidence consensus workshop on the use of CBCT imaging in Periodontics as well as co-author the academy guidelines. Dr. Mandelaris has been a part of the attending medical staff at Advocate Lutheran General Hospital, Department of Surgery, and Division of Dentistry since 2000. Anne Miller, RDH, MS is a Clinical Education Manager with Hu-Friedy Manufacturing Company, working with dental and dental hygiene schools in Ohio, Michigan, Kentucky and West Virginia since 2017. Anne received her degree in Dental Hygiene from the University of Rhode Island as well as a Master of Science degree in Dental Hygiene Education from the University of Missouri-Kansas City. Prior to her role at Hu-Friedy, Anne worked with students as an adjunct faculty member with the University of Cincinnati- Blue Ash College Department of Dental Hygiene. She has practiced dental hygiene for over 30 years in both general and periodontal practices. Anne combines her clinical expertise and knowledge of instrumentation to provide education and service to faculty and students alike. 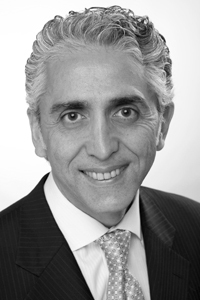 Dr. Homa Zadeh is an internationally renowned periodontist recognized for his clinical and scientific expertise. Dr. Zadeh is a tenured associate professor at the University of Southern California Herman Ostrow School of Dentistry. He is a diplomate of the American Board of Periodontology. He has previously served as the Chair of Periodontology Section at USC Ostrow School of Dentistry between 2003 to 2006. Dr. Zadeh graduated from the University of California Los Angeles (UCLA) with a BS degree followed by Doctor of Dental Surgery (DDS) from USC Ostrow School of Dentistry. He completed clinical training in Periodontology, as well as a PhD degree in Immunology, at the University of Connecticut Health Center (UCHC) School of Dental Medicine and School of Medicine, respectively. Dr. Zadeh has lectured nationally and international at over 30 countries at prestigious conferences on topics ranging from esthetics and minimally invasive periodontal and implant surgery, as well as tissue engineering. Dr. Zadeh directs the Laboratory for Immunoregulation and Tissue Engineering (LITE) at USC, which is a scientific research group dedicated to studying basic mechanisms to regulate bone and tissue regeneration/destruction under health/disease states, as well as conducting clinical trials of dental implant outcomes. Dr. Zadeh directs the USC Comprehensive Surgical & Restorative Implant Training Program. He is an active member of the American Academy of Periodontology, Academy of Osseointegration, American Dental Association, California Dental Association and Santa Barbara Ventura Dental Association. Dr. Giovanni Zucchelli, DDS, PhD graduated in 1988 from the University of Bologna, Italy with a degree in dentistry. In 1999 he was awarded a PhD in Medical Biotechnology form the same university. He is Professor of Periodontology and Implantology at the University of Bologna, Italy since 2000. Dr. Giovanni Zucchelli received many awards for clinical research in periodontology in Europe and the United States. In 2006 and 2008 was the recipient of the AAP Foundation-E Bud Tarrson Reasearch Award in Oral Plastic Surgery. He is an Associate Editor of the International Journal of Esthetic Dentistry and member of the editorial board the International Journal of Periodontics and Restorative Dentistry as well as a peer reviewer in numerous periodontal and implant Journals. 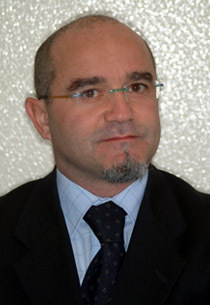 Innovator of several soft tissue plastic surgical techniques, Prof Giovanni Zucchelli is also author of more than 100 publications in Pubmed. He was speaker at a major international conferences on periodontology and has taught theoretical and practical courses (with live surgery) in numerous countries. Dr. Zucchelli is the author of the book, ‘Mucogingival Esthetic Surgery’, a best seller from Quintessence Publishing and published in 10 different languages. He is also co-author of two illustrated textbooks on periodontal plastic surgery (Ed. Martina) and of the chapter “Mucogingival Therapy-Periodontal Plastic Surgery” in Clinical Periodontology and Implant Dentistry (Lindhe J, Lang NP, Karring T [eds], Wiley-Blackwell. 1:20pm - 1:45pm The Future of Periodontics: Quo Vadis? All workshops will be held at the University of Michigan School of Dentistry. Program limited to 50 participants. Treatment of gingival recession has become an important therapeutic issue due to the increasing number of cosmetic request from patients. Patients aesthetic demand, due to the exposure, during smiling or function, of portions of the root surface, is the main indication for root coverage surgical procedures. Very often the most coronal millimeter/s of the root exposure is the only visible part of the recession when smiling, therefore the presence and/or the persistence after therapy, even of a shallow recession may be an aesthetic problem for the patient. Thus, complete root coverage, up to the cemento-enamel junction, is the goal to be achieved when patient complains about the aesthetic appearance of his/her teeth. New knowledge in soft tissue surgical management permits to achieve esthetic coverage in gingival recession with minimally invasive connective tissue grafts. Furthermore, the recession of the buccal soft tissue margin is a frequent complication of well integrated dental implants. The appearance of metallic structure or even their transparency through the thin buccal soft tissues are common reasons for patient aesthetic complains. Soft tissue plastic surgical procedures and bilaminar techniques in particular, can be successfully used in combination with a pre and postsurgical prosthetic approaches to increase the volume of the interdental soft tissue, to treat buccal gingival recessions and soft tissue dehiscence around dental implants and to provide the new implant supported crown with an esthetic transmucosal emergency profile. Workshop 2 - Video workshop of Bone Augmentation Procedures in Implant Patients: How to do Step-by-Step! Bone augmentation is daily routine in implant patients, since roughly 60% of implants are inserted with a bone augmentation procedure, either simultaneously with implant placement or prior to implant placement with a staged approach (Bruegger et al. 2015). The two best documented bone augmentation procedures are (a) Guided Bone Regeneration (GBR) utilizing a 2-layer composite graft combined with a collagen membrane, and (b) Sinus Floor Elevation (SFE) using most often a lateral window technique, and clearly less frequently the transalveolar Osteotome technique. This 1/2-day video workshop will present both surgical procedures with surgical video clips in various clinical situations, to document the step-by-step procedures of the GBR and SFE techniques, incl. the decision criteria when to use a simultaneous and when a staged approach. In addition, the preferred utilization of autogenous bone chips (ABC) combined with deproteinized bovine bone mineral (DBBM) particles will be presented incl. their synergistic characteristics. This includes on the one hand the osteogenic properties of ABC offering faster bone formation, and hence, shorter healing periods. On the other hand, the well documented low-substitution rate of DBBM offering a good volume stability of augmented bone over time. All different surgical techniques will be presented with video clips in various clinical situations. They are also documented with long-term results based on various 10-year studies performed at the University of Bern. Patients with atrophic alveolar bone have a variety of different presentations, including vertical vs. horizontal atrophy, anatomic features such as flat vs sloped defect walls or concavities, various bone density (eg cortical vs cancellous bone). Each of these features can affect the efficacy of bone augmentation, either in a favorable or unfavorable manner. Therefore, the approach utilized needs to thoroughly analyze and classify site and patient characteristics in order to select an appropriate technique, material and protocol. Another consideration is the potential of complication for the selected protocol and a risk assessment to determine the likelihood of encountering negative outcomes based on patient features. Modular Bone Augmentation (MBA) refers to an approach, which is based on the convergence of several components required for successful bone regeneration. MBA will employ different components based on requirements of individual patient and site. The Er:YAG laser with a wavelength of 2940nm is primarily absorbed by water. This type of laser is capable of ablating both soft and hard tissues with minimal thermal side effects and without impairing wound healing. It exhibits various beneficial characteristics which make it extremely suitable for periodontal and peri-implant applications. In periodontal therapy, both root surfaces and bone can be treated with the Er:YAG laser. Being able to manage root, bone and tissues with one laser is the most advantageous property of the erbium laser compared to other high powered lasers. The current clinical applications of Er:YAG laser for soft tissue esthetic management, periodontal surgical and non-surgical therapy and osseous surgery will be discussed based on scientific evidence as well as with case reports. In particular, the Er:YAG laser-assisted comprehensive pocket treatment (Er-LCPT) will be introduced. In the same light, treatment of peri-implantitis is aimed at removing local irritants from the implants’ surface followed by surface decontamination. Many lasers are now sold on the market with the claim that they can be used to treat peri-implantitis. This lecture will highlight the differences between the different lasers available in the dental field and outline the advantages of the Er:YAG laser technology. It can be used safely to detoxify titanium surfaces without affecting osseointegration. Clinical solutions for effective treatment of peri-implantitis will be discussed. This workshop will cover an overview of Er:YAG laser technology along with daily applications for the periodontal practice. The workshop will include a lecture, with a hands-on workshop offering participants with an opportunity to feel and experience the laser. This combination lecture and hands-on course is for both novice and experienced clinicians wanting to improve their instrumentation techniques for non-surgical periodontal therapy. The course will include a review of root anatomy, which is critical to the understanding and selection of periodontal instruments and techniques. The course will also cover the instruments available for various periodontal instrumentation challenges such as deep anterior pockets, furcations, root depression, and line-angle instrumentation. Advancements in visual technologies for non-surgical periodontal/peri-implant therapy, and utilization of glycine air polishing in periodontal and perio-implant maintenance and protocols will also be included. Help guide participants to assimilate the concepts learned into their clinical practice. This poster session is to stimulate discussion and allow for expanded presentation on a variety of topics. Timely and pertinent research in clinical inovations, translational and clinical science may be presented. Participation in the poster presentation is open to all faculty, residents, students and clinicians. This category invites submissions that demonstrate the use of advanced technology for treatment planning and surgery execution. Novel surgical techniques are also welcomed in this category. Study designs may include a case report, or case series. Some topic examples are but not limited to: Image-guided implant surgery, 3D printing, microsurgery, and new incision or suturing designs. This category invites submissions that aim to answer fundamental clinical questions in the format of cross-sectional studies, retrospective/prospective studies or clinical trials. Examples include comparison of different treatment modalities, identification of risk factors of periodontal and peri-implant diseases, survival/success rate of certain procedures, dental hygiene science related research, patient-centered outcome assessment. This category invites submissions with promising basic science research that could apply to patient care in the future. Examples include proof-of-principle preclinical studies, examinations of safety and efficacy of certain drugs, agents or devices, etc. An award will be granted to the best presentation for each category. Use the form below to upload a pdf of your poster after your abstract has been accepted. We will send out a confirmation email shortly after we receive your submission. Deadline for poster submission is May 30, 2018. Objective: To compare the accuracy of computer-guided surgery and freehand surgery on flapless immediate implant placement in the anterior maxilla.Material and Methods: In this split mouth design, 24 maxillary incisors in 8 human cadaver heads were randomly divided into 2 groups: computer-guided surgery (n=12) and freehand surgery (n=12). Preoperatively, cone-beam computed tomography (CBCT) scans were acquired, and all implants were planned with an implant planning software (Blue Sky Plan3, Blue Sky Bio, Grayslake, IL). Then, two types of surgeries were performed. To assess any differences in position, the preoperative CBCT was subsequently matched with the postoperative one. For all the implants, the angular, global, depth, and lateral deviations between the virtually planned and the achieved implant positions were measured. The lateral deviation was further subdivided into bucco-lingual and mesio-distal deviations. Results: A significant lower mean angular deviation (3.11±1.55°, range: 0.66–4.95), as well as the global deviation at both coronal (0.85±0.38 mm, range: 0.42–1.51) and apical level (0.93±0.34 mm, range: 0.64–1.72) were observed in the guided group when compared to the freehand group (6.78±3.31°, range: 3.08–14.98; 1.42±0.49 mm, range: 0.65–2.31 and 2.2±0.79mm, range: 1.01–4.02). However, the accuracy of these 2 approaches was similar for the depth parameter (P=0.847). In the bucco-lingual direction, the mean deviations of these two groups showed a general tendency of implants to be positioned facially, occurring more in implants of the freehand group. Conclusion: In flapless immediate implant placement, computer-guided surgery showed superior accuracy than freehand surgery in transferring the virtual implant position to the actual bone site. However, even with the help of a guide, the final fixture position has a tendency to shift towards a facial direction. Objective: The objective of the study is an alternative surgical approach to improve the safe use of free incision technique used for periodontal tissue regeneration surgery .Preservation of a sufficient vascular supply is essential to ensure survival of the elevated flap. An Incision free flap and then a gently elevation flap for an improved esthetic outcome due to a minimized risk of prospective scar- tissue formation. 2) Methods Before surgery we waited at least 6 months after the Non-surgical periodontal treatment The use of magnification and, micro blades, PTFE 6/0 sutures, Tunneling surgery instrument. Also is very important to know the biotype of the gingiva, we can use this technique with medium orthick gingiva ,that we evaluated using Colorvue Probe. The width of the inter-dental space is at least > 2 mm. The incision all around for the buccal part of the tooth near to defect and to elevate agently full thickness flap with initial 4 mm and a spilt thickness flap at least 3mm until to have a passive flap without tension close to the intrabony defect. Enamel matrix protein and bovine bone chips were used in this case series .The suturing phase is developed with a cross suspended suture to stabilize the surgery site with thick gingiva biotype, while in case of medium biotype it’s better a double cross link suspended suture. In case of furcation we can use two concentric suspended sutures with peripheral different distance.3) Results Effect of tissue regeneration surgery with free papillary incision technique shows a preservation of blood vessels for a better healing and an immediately post-surgery comfort for the patient. After fifteen days we noted a better healing of tissues in the area of the surgery. 4) Conclusions This technique with free incisione papilla it is a method to improve healing for periodontal regeneration preserving as possible the blood supply and improving esthetic outcome achievement of wound primary closure. The Influence of Mucosa Thickness Prior to Implant Placement on Marginal Bone Loss: A Systematic Review with Meta-Analysis. AIM: To systematically review the literature comparing marginal bone loss (MBL) around implants placed in areas with thick versus thin mucosa at 1 year after implant loading. MATERIALS AND METHODS: Manual and electronic screening on MEDLINE/PubMed and Cochrane Oral Health Group databases was performed for studies up to December 2017. Data were processed following PRISMA principles. Prospective studies with at least 10 implants placed in healed sites, documenting initial soft tissue thickness with direct intra-surgical measurements, and with 12 months follow-up at least were considered eligible. Implant failure and MBL were classified as primary outcomes; aesthetic/biological complications and prosthesis failure were studied as secondary outcomes. Cochran’s Q and I2 statistics were performed and P-value was calculated. Data were analyzed with a level of statistical significance set at α=0.05.RESULTS: Thirteen papers fulfilled the inclusion criteria and contributed to this study. Meta-analysis was conducted on 8 randomized controlled clinical trials on a total of 572 patients with 865 dental implants. Significant effect in favor of the implant placed in site with thick mucosa with a mean difference of -0.992 mm (95% CI, -1.020 to -0.964 mm, P-value<0.0001) was found. In subgroups analyzing different apico-coronal positioning and cement retained prostheses, significant effect in favor of the implant positioned in site with thick mucosa was achieved (P-value<0.0001). However, in screwed retained prostheses the effect in favor of thick mucosa was not found. CONCLUSIONS: Implants placed in ridges with thick soft tissue have significant less (~1mm) early bone loss. Most of the significant influence of thick tissue was noted on cement-retained prostheses but not on screw-retained prostheses. However, data should be interpreted with caution due to the short-term follow-up, no differences were noted regarding neither survival outcomes nor aesthetic/biological complications. Clinical and Radiographic Evaluation of Crown Margin Shifting Concept: A New Technique for Re-establishing the Biological Width. The purpose of the study was to evaluate, a new innovative technique representing Crown Margin Shifting concept “CMS”, clinically and radiographically in comparison with crowns violating the biological width in the aim of trying to re-establish the biological width. A split mouth study including 7 patients aged between 25-45 years old, having maxillary bilateral premolars with deep proximal caries violating the biological width. The control site “CS” received a CAD/CAM monolithic zirconia with a heavy chamfer finish line, while the study site “SS” received the same restoration and finish line but showing CMS concept at the deep proximal finish line where a heavy rounded shoulder finish line was left exposed with a knife edge crown margin meeting the finish line. Modified plaque index “MPI”, modified bleeding index “MBI”, periodontal probing depth “PPD” and gingival index “GI” were clinically evaluated at base line, 6 and 12 months. Radiographic evaluation using CBCT was done to measure marginal bone loss “MBL” and the established biological width at the deep proximal finish line. There was significant improvement in MBI and GI parameters in both sites at the end of the study. The PPD increased significantly in the first 6 months only. MPI was highly controlled with no significant difference. The MBL increased in CS up to 12 months, whereas in SS, it took place only in the first 6 months. In conclusion, crowns violating the biological width showed better clinical parameters, whereas crowns with CMS showed better radiographic parameters, therefore, abutments with margins violating the biological width can be crowned with no need for crown lengthening or CMS as long as the ferrule effect is enough and goo oral hygiene can be preserved. Objective: The aim of this study was to investigate the use of peri-implant crevicular fluid (PICF) interleukin IL-1β, IL-6 and tumor necrosis factor (TNF)-α biomarkers to distinguish between healthy implants (H), peri-implant mucositis (MU) and peri-implantitis (PI). Material and Methods: Electronic and manual searches were conducted for articles published up to March 2018 by two independent calibrated reviewers and without language restriction. Meta-analyses using a random-effects model were conducted separately for each of the cytokines; IL-1β, IL-6, and TNF-α, to analyze standardized mean difference (SMD) between H and MU, MU and PI, as well as H and PI with their associated 95% confidence intervals (CI).Results: Seventeen eligible articles were included in this systematic review and quantitative analysis. For IL-1β, IL-6, TNF-α, MU group showed significantly higher level of these biomarkers than H group (SMD = 1.94; 95% CI: 0.87, 3.35; p<0.001, SMD:1.17; 95%CI: 0.16, 3.19; p=0.031 and SMD:3.91; 95%CI: 1.13, 6.70; p=0.006, respectively). A similar finding was also noted when PI sites were compared to the H sites (SMD: 2.21, 95% CI: 1.32, 3.11; p<0.001, SMD:1.72; 95%CI: 0.56, 2.87; p=0.004) and SMD: 3.78; 95%CI: 1.67, 5.89; p<0.001, respectively). When PI group was compared to the MU group, IL-6 was statistically higher in PI site, but not IL-1ß. It is inconclusive with regard to TNF-α due to insufficient data. Meta-analyses revealed a high heterogeneity among these studies, with I2 ranged from 80.3% to 98.1%.Conclusions: Within the limitations of this study, we concluded that pro-inflammatory cytokines, such as IL-1 β, IL-6 and TNF-α, can be used as an adjunct tool to differentiate different degrees of peri-implant diseases. Our data suggested that implants with peri-implant mucositis and peri-implantitis had higher levels of pro-inflammatory cytokines in the PICF than the healthy implants. IL-6 was significantly higher in PI sites when compared to MU sites but not IL-1ß. Objective: This study aims to report common plaque accumulation pattern in dental students using a newly developed individualized plaque control heat map to facilitate customized oral hygiene therapy. Methods: Plaque control heat map (PCHM) combines the O’Leary’s plaque control record (PCR) and plaque index (PI) to capture spatial relationship and quantitative analysis of oral hygiene levels. During a clinical rotation, 128 dental students worked in groups to document individualized PCHM after using disclosing agent. A total of 99 PCHM were included in this study after screening for completeness and quality of the records. Heat map plaque control indices of all tooth surfaces were pooled together to identify the areas with the highest PI averages. This study was reviewed and approved by Institutional Review Board (HUM00128011).Results: Plaque indices were highest in the posterior buccal areas of the maxillary molars (PI=0.817), lingual surfaces of mandibular molars (PI=0.804), buccal of mandibular molars (PI=0.819), and mandibular incisor lingual surfaces (PI=0.758). Of each tooth and all surfaces, the interproximal areas were always a higher degree of PI. Crossover areas including buccal and interproximal areas of tooth #11 (PI=0.710) and #27 (PI=0.806) were also high. An average plaque score of 50.96% and PI average of 0.63 was obtained. No correlation between the O’Leary plaque score and the plaque index average was found in these subjects. Conclusion: This study demonstrated representative plaque accumulation patterns in dental students with plaque control heat map (PCHM). More information can be extrapolated from PCHM to provide basis for customized oral hygiene instructions and it can offer a direct visual aid for novice clinicians and patients to recognize trouble areas and monitor the improvement throughout the process of successful oral hygiene therapy. Future studies and technology developments are needed to optimize its practicality and generalizability. Aim: The aim of this case was to demonstrate that the use of a rigid titanium occlusive barrier in combination with autogenous bone graft mixed with xenografts is appropriate in order to correct a localized ridge defect before reaching an ideal implant placement. Additionally, a further aim was to show that Enamel Matrix Protein, currently used in periodontal wound healing, can improve regeneration and reconstitution of lost periodontal structures. Methods: A male was referred for a maxillary implant placement in the maxillary first premolar (site 1.4). Intra-surgical evaluation confirmed a narrow alveolar ridge with insufficient crest width and height for ideal dental implant placement. Hard tissue augmentation was accomplished using guided bone regeneration. A rigid titanium occlusive barrier (was customized to desired shape of future alveolar ridge then secured with cortical screws to prevent any micro-movement. Simultaneously, the defect was filled with autogenous bone graft mixed with deproteinized anorganic bovine bone () in a 1:1 ratio. A resorbable collagen membrane was placed above barrier. Furthermore, Enamel Matrix Protein was placed in proximity of the roots of adjacent teeth. Results: After a 7-month healing period, the barrier was removed and, at the same time, a fixture (4.3x10mm) was placed. After 5 months, the implant achieved successful integration and the abutment connection was possible. A temporary crown was left in situ for 6 months in order to modify and condition soft tissue contour and shape. Then, a definitive crown was delivered and a periodical clinical follow-up was carried out. Conclusions: The use of titanium occlusive screwed barrier with autogenous/bovine bone graft, a resorbable collagen membrane and enamel matrix proteins in proximity of the roots of adjacent teeth might be a reliable technique for alveolar ridge reconstruction. An adequate surgery, prosthetic and maintenance planning allowed achieving a stable 7 years result. Objective: Infra-position of single-implant restorations due to craniofacial growth and continuous tooth eruption has been noted in adolescents and older individuals. This study aimed to evaluate the longitudinal changes in tooth/implant relationship of adults with single implant-borne restorations in the anterior maxilla and associate the observed changes with patient or surgery related parameters. Methods: Seventy-six adult patients treated with 77 single implant–supported crowns in the esthetic zone (48 central incisors, 24 lateral incisors, 5 canines) were included. The mean age of patients at implant surgery was 45 years (range: 21-78 years). The existing peri-apical radiographs, taken with the parallel technique at crown placement (baseline) and at follow-up examinations (1-15 years post-loading) were used for assessing implant infra-occlusion over time. Linear measurements of the vertical position of the implant-supported crown relative to the adjacent teeth were taken using an open-source image processing program (ImageJ/Fiji 1.46, NIH).Results: Infra-occlusion increases over time by 0.08±0.02 mm/year. For the first 3 years, infra-occlusion of the implant-supported crown was minimal (0.14±0.22 mm). For longer follow-up times (4-15 years), average infra-occlusion reached 0.50±0.31 mm (p<0.00001). Interestingly, infra-occlusion was more pronounced (p=0.04) for delayed (0.09 mm/yr) versus immediate implant placement (0.06 mm/yr) and for younger versus older adults (p=0.014). No statistically significant association between infra-occlusion and gender, implant site, timing of implant provisionalization, surgical protocol, performance of bone augmentation, and type of restoration was found. Conclusions: Infra-occlusion of single implant-supported maxillary anterior crowns, increasing on average by 0.08 mm/yr, may result in esthetic concerns over time. Greater infra-occlusion occurs in delayed- than immediate-implant placement and in younger versus older adults. To What Extent are Implants and Teeth Influenced by Gingival Phenotype and Width of Keratinized Tissue? Objectives: 1- To determine the influence of a various combination of the width of keratinized tissue and gingival phenotype on maintaining the periodontal health of natural teeth as compared to dental implants. 2- To determine if there is a similarity or not of the health and disease status between the natural tooth and dental implant in the same patient. Materials and methods Sixty-eight patients with one implant were recruited for the study, which required an adjacent or contralateral natural tooth. Gingival phenotype is classified as thin (Tn, < 1.0 mm) or thick (Tk, < 1.0 mm) and the width of the keratinized tissue as narrow (N, < 2 mm) or wide (W, < 2 mm) around the implant and the contralateral natural tooth in 68 patients. Each implant and tooth was classified into one of four groups: Tn&N Tn&W; Tk&N; Tk&W. Distribution of implant/tooth status by the four groups was determined by Fisher’s exact test. Agreement and ordered association of disease status between implants and teeth were determined by non-parametric correlation (Kendall’s tau-b test) and tests of marginal homogeneity. Results The four combined groups are significantly associated with the health/disease status of implants. (P=.023) However, the four combined groups are not statistically associated with the health/ disease status of teeth (P=.436) A moderately weak, positive correlation between the status of implants and teeth was observed (Kendall’s tau-b correlation P<.001). Conclusions 1- Wide zone of keratinized tissue (> 2.0 mm) may play a significant role for the maintenance of the health status of dental implants. 2- In presence of a narrow zone of keratinized tissue, the gingival phenotype may be critical for maintaining the health status of dental implants. 3- In the same patient, the periodontal status of natural tooth and dental implant are not necessarily the same. Radiographic Pattern of Bone Loss in Peri-implantitis Purpose: Factors that affect the pattern of bone loss, as determined by radiographic evidence, have not fully elucidated. The aim of this study was to (1) Estimate the frequency and percentage of radiographic peri-implantitis including horizontal, vertical and combined bone loss in partially edentulous patients (2) Examine the association of the patient’s condition (gender, age, smoking, diabetes), The implants condition (implant years in function, implant site, presence of adjacent implant, implant diameter, implant length, restoration quality, bone grafted site, implant shape, implant platform)and radiographic pattern of bone loss in peri-implantitis. Materials and Methods Three hundred and four partially edentulous patients (147 females and 157 males) were enrolled in the study. Only one, randomly selected implant per patient was included. The patient’s age, gender, smoking history and, diabetic history were extracted from the charts. The implants condition including: (implant years in function, implant site, presence of adjacent implant, implant diameter, implant length, restoration quality, bone grafted site, implant shape, implant platform) were extracted from the charts and the radiographs. Radiographic images were evaluated (peri-apical or bitewing) at the time of implant restoration and at least twelve months after restoration. The implants were classified into two groups: Group 1 had no detectable bone loss following physiological bone remodeling after implant placement; Group 2 had bone loss beyond physiological remodeling and was diagnosed as peri-implantitis. The peri-implantitis group was further divided into three sub-groups: Vertical Bone Loss Group, Horizontal Bone Loss Group, and Combined Bone Loss Group. Data analysis was accomplished with: a- Descriptive analysis of bone loss patterns in peri-implantitis. b- Binary logistic regression for the outcome bone loss versus no bone loss with implants condition. c- Multinomial logistic regression of bone loss pattern with implants condition. Results: Percentage of implants with bone loss was 24.7%. Implants with no bone loss were 75.3%. The distribution pattern of bone loss was: vertical 65%, horizontal 22% and combined 13%. Binary logistic regression for the outcome bone loss versus no bone loss with implants condition and patient’s characteristics shows significant bone loss in the presence of two adjacent implants (P=.023) and inadequate restoration (P=.050). The bone augmented sites had increased odds of vertical bone loss with narrow implants placed in a grafted sites (P=.038) and wide implants placed in a grafted sites (P=.032) (OR=2.5 and 2.8 respectively), compared to narrow implants placed in native bone. In contrast, the presence of adjacent implants had significant (P=.003) increased odds of horizontal bone loss (OR=5.3). Conclusion: Implants placed in a grafted site are associated with a vertical bone loss regardless of the implant diameter. In contrast, presence of two adjacent implants is the most significant risk factor for horizontal bone loss. Objective of the study: Although several clinical trials and studies on the effectiveness of different interdental cleaning devices have been published, there is a need to organize the information in order to facilitate customized oral hygiene instructions. Thus, the aim of this literature review is to create a consolidated decision-making tree based on best-evidenced approaches. Major factors include, individuals’ embrasure size, plaque accumulation pattern, patient motivation and compliance as well as personal hand dexterity. Method and Materials: The literature search was inclusive for any study that evaluated the effectiveness and compliance of interdental brush (IDB), dental floss, oral irrigation, and woodstick in human trials. PubMed and Cochrane Central register of controlled trials were the databases used in the search for manuscripts satisfying the study. A total of 24 articles were included in the literature review. Results: Each direction on the decision tree was based on the results of the original studies. The flowchart was first stratified based on different sizes and shapes of the embrasure space and the morphology of the proximal tooth surface. IDB are highly recommended for individuals with open interdental spaces accessing from the buccal or lingual aspects. For individuals with tight interdental space, high motivation and good dexterity, dental floss continues to be the first choice for interdental cleaning. Individuals with tight interdental space but have lack of motivation to continue with the home care recommendations set forth by their clinician should consider using easy-flossers, soft picks, and small (0.6-0.7mm) IDB. Conclusion: This study provides evidence-based clinical decision to customize the use of different interdental cleaning devices. Each individual patient should be uniquely assessed in order for the clinician to provide effective oral hygiene home care instructions and results in a successful oral hygiene therapy. Objective: The purpose of this systematic review was to evaluate the clinical effectiveness of glycine air polishing (GAP) for maintenance of dental implants with or without peri-implant diseases. Materials and Methods: PubMed and Medline were used to identify clinical trials that assessed the effectiveness of GAP in reducing clinical indices of inflammation. 163 titles and abstracts were independently screened by two reviewers. Differences between reviewers regarding included articles were discussed, and decisions were made to include or exclude disputed articles. Articles with abstracts not relevant to the topic were eliminated. Results: Eleven articles were identified; nine were included in the analysis. A meta-analysis could not be performed due to the heterogeneity of the studies. Instead, a descriptive, systematic review was performed. Studies evaluated the effects of a variety of professionally-applied adjunctive treatments. All studies reported periodontal pocket depths (PPD), and bleeding upon probing (BOP). All treatment procedures found GAP to have comparable results with other treatments in producing clinically beneficial outcomes. Data from two studies showed areas treated with GAP to have a significantly higher reduction in bleeding sites. One study also determined a decrease in PPD when using GAP as an adjunct to mechanical debridement. GAP treatment was shown to equally reduce bacterial count one month after therapy when compared to Er:YAG laser. Conclusions: GAP has beneficial effects in the maintenance of dental implants by significantly decreasing all clinically relevant measures. GAP is effective in non-surgical treatment of peri-implant diseases. More clinical studies are needed to evaluate and develop standardized protocols for the use of GAP for the maintenance of dental implants and non-surgical treatment of peri-implant diseases. Objective: To assess Michigan veteran’s attitudes toward oral health care, access to oral health care services, and how services are paid for. Methods: A paper survey was disseminated to a convenience sample of 300 veterans from Michigan affiliated with various veteran organizations including VFW and American Legion Posts, and student veteran organizations. Frequency distributions, means, and standard deviations were analyzed to provide an overview of the data. The Pearson chi-square test was used to investigate the association of having a service connected disability and VA medical and oral health care, dental benefits, and challenges of receiving oral health care. Significance was set at p<0.05.Results: A total of 193 surveys were completed for a response rate of 64%. Forty-five percent of respondents reported a service-connected disability qualifying them for VA health care. While 77% reported not being eligible for VA dental care, respondents rated the importance of dental health as extremely important (4.56, ±.806). One-third of respondents reported not having a dental home, with 35% reporting no dental care in the last 12 months. More than half of respondents reported cost as the greatest challenge to accessing care. Pearson chi-square test found statistical significance of a service-related disability and receiving medical care at the VA hospital (.000), qualifying for dental care at the VA hospital (.006), receiving dental care at the VA hospital (.006) and having dental insurance benefits (.032).Conclusions: Veterans in Michigan value the importance of oral health care, yet are subject to disparities in access to care. Cost, ineligibility for VA oral health care, and lack of dental insurance are the greatest barriers to veterans accessing oral health care. Further studies should focus on the unique cultural and social contexts of veterans that impact oral health disparities in the veteran population. Peri-implant Buccal Tissue Contour Following Guided Bone Regeneration in the Aesthetic Zone: A Pilot Case Series. J Gargallo-Albiol, M Charafeddine, E Lucas-Taule, A Barroso-Panella, F Hernandez-Alfaro, H-L Wang. Objective: The aim of the present study was to compare the dimensional changes of peri-implant labial tissue contour, with or without guided bone regeneration (GBR), after implant placement. Materials and Methods. Ten single implants were placed, from maxillary central incisor to second premolar, in a healed socket. Half (n=5) of the placed implants were completely surrounded by native bone with no need for additional bone augmentation. In the remaining 5 implant sites, GBR using deproteinized bovine-derived bone mineral and a collagen membrane were performed to correct thin and buccal bone defects. Impressions were taken prior to implant placement (baseline), 1 week after crown connection (at 6-month) and 6 months after crown connection (at 1-year). Models were optically scanned and 3D images were superimposed to assess peri-implant labial tissue contour changes between the different time points. Point A and B located at 3 and 6 mm apical to the crest of the ridge, respectively. Results: From baseline to 1 week after crown connection (T0-T1) the gain of peri-implant labial tissue contour at the points A (3mm) and B (6mm) were 0.57 ±0.21 and 0.34 ±0.28 at sites without GBR, and 1.29 ±0.85 and 1.02 ±0.95 at sites with GBR (p=0.10, 0.15). At 6 months after crown connection (T1-T2) the labial contour at points A and B was reduced 20% ±9.5 and 43% ±22 at control sites, 19.4% ±5.5 and 37% ±21 at test sites (p=0.90,0.67). At 6 months after crown connection (T0-T2), the total gain of labial contour at points A and B was 0.44 ±0.2 and 0.24 ±0.24 for control group and 1.05 ±0.69 and 0.79 ±0.89 for GBR group (p=0.09 and 0.21 respectively). The Effect of Implant-Abutment Junction Position on Crestal Bone Loss. A Systematic Review and Meta-Analysis. Purpose: To investigate the effect of the apico-coronal implant position on early and late crestal bone loss (CBL), in bone and tissue level implants. Methods: Electronic and manual literature searches were conducted for controlled clinical trials reporting on CBL before and after functional loading of implants. Random effects meta-analyses were applied to analyze the weighted mean difference (WMD) and meta-regression was conducted to investigate any potential influences of select confounding factors. Results: Fourteen articles were included in the systematic review and 12 were included in the quantitative synthesis. For bone level implants, WMD comparing early CBL in equi and subcrestal placement was 0.15 mm (p=0.18). For analyses of late CBL in bone level implants, equi and subcrestal placement revealed a 0.03 mm WMD (p=0.88). Where in supra and subcrestal placement, WMD was 0.04 mm (p=0.86). The comparison presented considerable heterogeneity between these two arms, where the p value for chi-square test presented as 0.006. Finally, for CBL between supra and equicrestal placement, WMD was -0.64 mm (p<0.0001), favoring the supracrestal group. For tissue level implants, WMD of early and late CBL in implants placed equi-crestally was 0.68±0.12mm and 0.69±0.54mm, respectively, where for implants placed sub-crestally, the WMD of CBL was 1.72±0.15mm and 2.26±0.63mm, respectively. Conclusions: Within the limitations of this study, it is recommended to place tissue level implants equicrestally, and bone level implants subcrestally. Background: Collagen plug has been a popular and practical choice by many practitioners to cover bone graft material for ridge preservation procedures; however, very limited studies had focused on the specific use and efficacy of collagen plug as an exposed barrier membrane. Current studies on ridge preservation had focused on the bone dimensional changes, but little is known about the soft tissue healing events and the factors related to the initial wound healing, which could be highly associated with the final results. Given the popularity, there is a need to conduct clinical studies to understand and optimize the application of collagen plug. Objective: This study aimed to evaluate soft tissue secondary healing over collagen plug as a barrier membrane for socket grafting, including time course for wound closure and tissue quality assessment. Potential host factors, including smoking, will also be analyzed for its impact on healing. Methods: A total of nineteen patients underwent ridge preservation procedures performed by the same clinician were included in this study. Collagen plug was compressed and used as a membrane to cover the bone allograft with crisscross sutures. Soft tissue healing was assessed at baseline, two and four-week post-op and standardized occlusal clinical photos were taken. The mean socket wound surface area was calculated using the software ImageJ after calibration. The overall soft tissue healing quality was independently graded by two blinded examiners based on a ten-point scale. Results: After two-week healing, an average of 53.6% of the soft tissue wound closure was achieved, with a 7.6/10 healing scores qualitatively. During the two to four-week post-extraction time, maturation and epithelialization process of the wound is evident yet only additional 8.5% wound shrinkage was observed. Premolar extraction sites showed no changes (61%) between the two time points but molar sites demonstrated additional 12% wound closure (From 44% to 56%). Smokers showed significantly slower wound closure at both time points (39.2%, 43.8%) as well as higher incidence of poor healing scores lower than 4. Conclusion: Based on the limitations and preliminary results of the study, half of the soft tissue wound closure was achieved at two weeks following socket grafting. Very minimal additional wound shrinkage was progressed between two and four weeks post-op, which may contribute to the additional keratinized tissue. No adverse events were associated with the use of collagen plug with proper surgical techniques but smokers showed slower and unfavorable soft tissue healing. Objectives: The aim of this systematic review and meta-analysis was to evaluate the influence of supportive post-implant treatment (SPIT) on implant survival rate and incidence of peri-implant diseases. Material and methods: Electronic and manual searches were conducted by two independent reviewers for articles written in English up to March 2018. Clinical controlled trials (CCT) involved in SPIT protocol with more than 1-year follow up and complete information about peri-implant conditions were included. Random effects meta-analyses of selected studies were carried out to analyze the risk ratio (RR) of survival rate (SR), incidence of peri-implantitis (PI) and peri-mucositis (MU) between SPIT and non-SPIT groups. Any potential confounding factors, including interval of SPIT and the use of chemical agent were investigated using meta-regression. In addition, within SPIT group, fixed effects meta-analysis was performed to assess the RR of SR between patients with and without periodontal disease history. Results: In total, 10 CCTs were included. Based on the results in meta-analysis, SPIT group significantly showed higher SR (RR:1.12; 95% CI: 1.08 to 1.16; P < 0.001) and lower prevalence of PI (RR:0.25; 95% CI: 0.13 to 0.48; P < 0.001) and MU (RR:0.57; 95% CI: 0.43 to 0.76; P < 0.001) than non-SPIT group. Meta-regression of the selected studies failed to find an association between primary outcomes (SR, PI and MU) and confounding factors. Furthermore, in SPIT group, no significant statistical difference was found in SR between patients with and without periodontal disease (RR:0.99; 95% CI: 0.94 to 1.05; P=0.834). Conclusions: With the limitations of this review, SPIT can potentially improve peri-implant health in terms of SR, MU and PI. Additionally, the correlation in history of periodontitis, recall interval and adjunctive use of chemical agents to peri-implant conditions could not be found. In the future, more well-controlled studies with consistent and complete data are required for investigating the efficacy of SPIT. Objective: The aim of the study was to investigate the short- and long-term stability of the gingival margin, the keratinized tissue width and the clinical attachment gain. In addition, factors affecting these parameters were also assessed. Materials and methods: A literature search was conducted to identify randomized clinical trials (RCTs) investigating root coverage procedures that provided the results with at least two time points (≥ 3 months). The change in recession depth (Rec change), keratinized tissue width (KTW change) and clinical attachment level (CAL change) were calculated between the follow-up visits, while changes between follow-up and baseline were not considered. After obtaining Rec change, KTW change and CAL change, the data were plotted to visualize the patter of the stability of the results over time. Results: 64 RCTs were included. Regression analysis, adjusted for time and recession depth at baseline, revealed that time itself was a very significant predictor to Rec change (p< 0.01). Moreover, KTW at baseline was inversely related to Rec change (p< 0.01); for higher values of KTW at baseline, the pattern of the gingival margin tended to be more stable. In addition, articles that provided the patients specific details on oral hygiene instruction (including brushing technique and the use of soft-bristle toothbrush) demonstrated a strong stability of the gingival margin, as well as the amount of KTW (p<0.01). The results obtained when utilizing a graft (in particular acellular dermal matrix or connective tissue graft) were significantly correlated of the higher stability of the gingival margin over time compared to when a graft was not used for root coverage (Emdogain, coronally advanced flap alone and Guided tissue regeneration) (p<0.01). No significant differences were found on KTW changes over time when different techniques were utilized. Conclusions: The addition of a graft in root coverage procedures provided more stability of the gingival margin over time. However, coronally advanced flap alone seemed to be a viable option in maintaining the initial results in the long-term. Time, keratinized tissue width at baseline and detailed brushing instructions were crucial factors in maintaining the outcomes of root coverage procedures. Introduction: The presence of artifacts around metallic restorations often obscures anatomical structures or reference markers in cone-beam computed tomography (CBCT) images, which in turn has a negative impact on its registration process with the optical of the arch or cast for computer guided implant planning. Objectives: The aim of this study was to develop a method to reduce the presence of CBCT scanned artifacts during computer guided implant planning in patients with multiple metallic restorations. Material and methods: CBCT images were obtained from a mandibular arch model typodont with 3 metallic crowns (#19, #25 and #30). Four different sets of CBCT scans were obtained: 1) In scan-A, the occlusal plane of the model was placed horizontally, so that all three restorations were in the same transverse plane in which the beam came from; 2) In scan-B, the occlusal plane was placed in a 45 degree angle to the transverse plane, so that #19 and #25 were in the same horizontal level while the third crown was at a higher level; 3) The occlusal plane in scan-C was also placed in a 45 degree angle but the restorations were in three different vertical levels 4) In scan-D, the occlusal plane was perpendicular to the transverse plane and the restorations were in different level. The metallic artifacts were observed in both 2D sections of the DICOM images and 3D reconstructions. The volume and surface area of the artifacts in each CBCT scan and 3D reconstructions were calculated. Results: Extensive artifacts were present around all 3 metallic crowns in scan-A, especially in the region between the metallic restorations. In scan-B, connected artifacts were shown between restorations #19 and #25, while confound artifacts were found around #30. In scan-C and scan-D, artifacts were only present adjacent to the restorations and within the transverse plane. The artifact volume was 2385 mm3 in scan-A, 2018 mm3 in scan-B, 1923 mm3 in scan-C and 1628 mm3 in scan-D. The surface area of the artifacts was 4391 mm2 in scan-A, 2117 mm2 in scan-B, 2017 mm2 in scan-C and 1463 mm2 in scan-D. When comparing to scan-A, scan-C and scan-D presented an artifact reduction of 54% and 67% by surface area, respectively. Conclusion: By arranging the metallic restorations at different horizontal planes during CBCT imaging, the artifacts can be reduced, especially the streaking artifacts that appear between these restorations. This is especially important in computer guided implant planning. Introduction: Flap design for implant placement has an impact on esthetic outcomes. Conventional surgical incision and flap reflection inevitably create facial contour reduction, mucosal recession, and papilla loss. Flapless implant surgery is the most conservative approach; however, it requires cross-sectional imaging and has a steep learning curve, among other limitations. Aim: the primary goal is to present a minimally invasive implant surgical technique and investigate its potential effect on preserving facial tissues. Material and methods: in a private practice setting, 2 subjects were scheduled for a single implant placement to replace teeth no. 9 and 13, respectively, with the facial preservation technique. Two stone models were taken for each subject, one before implant placement, and the other 4 months after the surgery. The models were scanned with a 3d lab optical scanner (trios 3- 3shape denmark). The two models were superimposed using software (geomatic design x 2017-geomagic) and the linear dimension changes in horizontal direction were measured on the mid-buccal, mesial and distal papilla cross-sections at 2, 4, and 6 mm from the mucosal margin. Vertical linear changes of the facial mucosal margin and papilla tips were measured as well. Results: Description of the facial preservation technique: after local anesthesia, a crestal incision was made where the final implant crown margin was planned and ended at 2 mm from the adjacent teeth. Two vertical incisions were made, connecting to the crestal incision, parallel to the interproximal surface of the adjacent teeth, toward the palatal side. Then the palatal flap was reflected so the palatal bone edge was visualized. The facial soft tissue was slightly elevated to confirm adequate ridge width. Standard osteotomy was performed with assistance of a surgical guide. After implant placement, 3 sutures were placed to approximate the palatal flap. The two cases healed uneventfully. Facial contour literally had no changes (less than 0.5 mm). Additionally, no changes in facial mucosa and papilla height were found. Conclusion: the proposed minimally invasive surgical technique provides palatal access for osteotomy while preserving the facial tissues. Interdental papillae were left intact without incision. More cases are currently being collected to validate the efficacy of this novel technique for maintaining facial and interdental tissue dimensions. Introduction: Facial mucosal recession still poses a threat to long-term success of immediate implant therapy. To study the timing and extent of mucosal recession and associated risks, a prospective study is strategically important. Such a study has been planned by our research team and approved by the IRB at the University of Michigan (HUM00139630). This poster presentation is to demonstrate preliminary data on applying novel ultrasound to image peri-implant tissues on 2 live humans. Materials/Methods: An ultrasound probe prototype (25-MHz) and a scanner (ZS3 Zonare/Mindray, USA) were used to scan 2 implants on 2 human subjects. Each implant was scanned at the mesio-, mid- and disto-facial sites. The marginal bone and the soft tissue dimensions around implants were measured on ultrasound images and compared to CBCT and direct readings. Descriptive analysis was presented. Results: Four parameters were measured: (1) marginal bone level, (2) marginal bone thickness, (3) mucosal level and (4) mucosal thickness using the 3 methods. The mean ultrasound and direct marginal bone level readings were 3.21 mm and 3.5 mm. The corresponding mean marginal bone thickness was 1.31 mm and 0.96 mm. The mean ultrasound and direct mucosal level were 3.39 mm and 3.5 mm. The mean mucosal thickness was 1.29 mm and 1.17 mm. With CBCT the parameters were only readable in one subject. The marginal bone level, marginal bone thickness, the mucosal level and mucosal thickness were: 2.77 mm, 1.21 mm, 3.52 mm and 0.94 mm, respectively. Interpretation of the other CBCT image was interfered by artifacts from the metal implant. Conclusions: Preliminary data showed the feasibility of ultrasound for evaluating peri-implant tissues on live humans without radiation and interfering artifacts in cross-sectional views. This innovative method will be used for the planned clinical study to evaluate risk factors for the mucosal recession after immediate implant therapy. Topographic Changes and Effectiveness of Artificial Calculus Removal After Dental Implant Instrumentation. An in Vitro Study. A Sirinirund, C Garaicoa-Pazmiño, H-L Wang. Objective: The aim of the present study was to evaluate the topographic changes after dental implant instrumentation and the effectiveness for artificial calculus removal using atomic force microscopy (AFM), field emission scanning electron microscope (FEG-SEM) and stereomicroscopy. Material and methods: Twenty-eight machined and roughed surface dental implants were evenly distributed into two groups (A and B). Implants in Group A included two 3x3mm areas that were instrumented with 20 and 100 strokes to simulate the effects of implant maintenance and evaluate changes of surface topography using AFM and FEG-SEM. In Group B, artificial calculus (1:1 ratio of cyanoacrylate and blue dye) was applied on the coronal 1/3 of the implant and instrumented using 3 curettes (SS: stainless steel, P: plastic, Ti: titanium), 2 ultrasonic tips (UM: metal tip, UP: plastic tip), a titanium brush and a glycine powder air-polishing device (AA: Air-Flow®) to measure their effectiveness for calculus removal. Results: Significant topographical changes were observed on machined implants instrumented with UM when compared to minimal changes induced by AA. Both machined- and rough-surface implants were capable to create titanium-like debris after mechanical instrumentation. UM revealed to be the most effective for artificial calculus removal. Additionally, plastic curettes failed to remove deposits due to its flexible working tip and abrade upon the implant surface evidenced by white plastic-like debris. Conclusions: All commercially available instruments and devices are capable to induce major and minimal topographical changes on dental implant surfaces. Artificial calculus removal was proven to be clinically effective with the exception of plastic curettes. Findings from the present study may impact on protocols for implant maintenance; provide a source of titanium-like particles in human tissue biopsies and clinical implications for the prevention and development of peri-implant diseases. Study Goals: Bone is a dynamic tissue with self-healing capabilities that allow the repair of defects and fractures with restoration of original architecture. Bone regeneration requires differentiation of mesenchymal stem cells to osteoblasts and remodeling of the bone extracellular matrix (ECM). Discoidin domain receptor 2 (DDR2) is a bone-associated collagen-activated receptor tyrosine kinase that is required for normal bone development and homeostasis. The purpose of this study is to investigate the role of DDR2 in bone regeneration using a Ddr2-null mouse model (Ddr2slie/slie mice, which contain a spontaneous 150 kb deletion in the Ddr2 locus to create an effective null). Methods: Two bone sites were evaluated for bone regeneration, calvaria and tibia. For calvarial bone regeneration, a 0.5 mm subcritical size defect (SSD) was created in 8 week wild-type (WT), Ddr2slie/slie, and Ddr2+/lacZ mice (contain a LacZ knock-in in one Ddr2 allele) in the parietal lobe of the calvaria. Four weeks post-surgery, bone regeneration of the SSD was compared between WT and Ddr2slie/slie mice. For the tibial fracture model, a tibial fracture was generated in WT, Ddr2slie/slie, Ddr2+/lacZ mice. Three weeks post-surgery, bone healing was compared between WT and Ddr2-/- mice. Results: For calvarial bone regeneration, Ddr2slie/slie mice showed delayed bone regeneration of the SSD with significant lower BV/TV compared to the WT mice. Furthermore, Ddr2slie/slie female mice exhibited lower BV/TV of the SSD than Ddr2slie/slie male mice. In addition, immunohistochemistry showed less Gli1 positive cells in the sagittal suture of Ddr2slie/slie mice when compared with WT. The Ddr2+/lacZ mice showed that Ddr2 is highly expressed in the defect area. For the tibial fracture model, Ddr2slie/slie mice had a lower Radiographic Union Score Tibia (mRUST) than WT. In addition Ddr2slie/slie mice had a larger callus volume compared with the WT. Conclusion: These results indicate that Ddr2 is required for normal intramembranous and endochondral bone regeneration. Alveolar bone resorption caused by trauma or periodontal diseases has been a challenge for both dental clinicians and researchers. In this study, we investigate the bone regeneration through direct trans-differentiation from non-osteogenic cells to osteogenic cells by epigenetic modification. HGFs or 3T3-L1 cells treatment with 5’-aza-dC induced demethylation in the hypermethylated CpG islands of the osteogenic lineage marker genes RUNX2 and ALP, and subsequent BMP2 or Wnt3a treatment successfully drove to the osteoblasts lineage. Cell morphological changes viewed under microscopy and alkaline phosphatase and alizarin red S staining confirmed the osteoblastic change mediated by epigenetic modification as did real-time PCR, MSP, and ChIP assay, which demonstrated the altered methylation patterns in the RUNX2 and ALP promoter regions and their effect on gene expression. In vivo data indicated ectopic bone formation and increased bone volume, furthermore, RNA seq. and MBD seq. proved the process of trans-differentiation via epigenetic modification. Collectively, our results indicate that epigenetic modification permits the direct programming of non-osteoblasts into osteoblasts, suggesting that this approach might open a novel therapeutic avenue in alveolar bone regeneration. Background: Collagen signaling is critical for proper bone and tooth formation. Discoidin domain receptor 2 (DDR2) is a collagen-activated tyrosine kinase receptor shown to be essential for skeletal development in humans and mice. Mutations in the DDR2 gene show major defects in bone formation in the axial and appendicular skeleton, as well as skull. However, it is not known if Ddr2 has a role in tooth formation. The purpose of this study is to uncover the role of Ddr2 in regulation of tooth formation using loss of function genetic studies. Methods and Results: Ddr2slie/slie mice used in our studies contain a spontaneous 150 kb deletion in the Ddr2 locus to produce an effective null. To visualize Ddr2 expression during tooth development, we generated a Ddr2-LacZ knock-in mouse model, and measured lacZ expression (β-galactosidase activity) in newborns and 2-month Ddr2+/lacZ knock-in mice. Using this approach, Ddr2 was localized to dental papilla mesenchyme and the dental follicle/sac of developing teeth, and in odontoblasts and the periodontal ligament (PDL) of adult teeth, whereas a negative control of wild type (WT) littermates showed no lacZ staining. Spatial expression of Ddr2 is consistent with collagen abundance, and suggests a potential role for this collagen receptor in tooth development. Comparisons between homozygous (Ddr2slie/slie) and WT littermates revealed that Ddr2-null mice have thinner dentin at day 14 of postnatal life (P14), compared with WT littermates. Our data suggests that dentin formation may be delayed due to the loss of collagen/Ddr2 signaling. Adult Ddr2-null mice also showed alveolar bone loss and disturbed periodontal ligament organization. Alveolar bone loss is possibly due to defective osteoblast differentiation, as we found reduced osteoblasts differentiation in vitro. Conclusion: Together, these findings demonstrate odontoblast- and PDL-specific expression of Ddr2 in mature and immature teeth, and suggest that Ddr2 plays a role in the formation of dental tissues and supporting structures. Seventy-two, female, 3-month old OSX-mcherry mice were included in the study. Osteoporosis was induced by ovariectomy (OVX) and calcium-deficient diet in 36 mice, test group (TG). The other 36 mice were sham operated, only had their ovaries identified and surgically exposed, control group (CG). At 7 weeks following osteoporosis induction, 1 implant (0.9 x 8 mm) was placed in each femur of each animal for both groups. One implant had a hydrophobic surface (A) and the other one had a hydrophilic treatment surface (B). New bone formation and bone-implant contact was assessed by qualitative and quantitative histological and NanoCT analysis 14, 21 and 28 days after implant placement. Calcium content was measured by EDX on the surface of the implant after 7 days. Additionally, after 3 and 7 days, fresh bone marrow was harvested from 4 mice in each group at sacrifice and the gene expression profile of levels of ALP, BSP, SOST, SP7, Bglap2, Il1b, Il10, Tnf, Runx2 and Nos2 was evaluated using a PCR array. Statistical analyses were performed by ANOVA and paired t-test with significance at p < 0.05. NanoCT assessment revealed significantly more trabecular bone in the (A) treatment compared to (B). Histological assessment showed augmented bone quantity in contact with the surface (B) in comparison to surface (A) in the TG. Also, the amount of calcium deposited on the surface due to the mineralization process was higher for (B) surface after 7 days. Consistently, in our gene expression studies, hydrophilic treatment surface showed increase levels of gene expression related to bone formation. Analysis in TG showed that genes involved in the bone morphogenetic protein signaling, such as ALP, BSP, SOST and SP7, were significantly activated in the hydrophilic treatment surface. Due to the increased expression of genes related to osteogenic differentiation, greater percentages of BIC and BA, and significant amount of calcium content, the choice of the hydrophilic surface in situations of osteoporosis could be suggested in order to improve osseointegration process. This study investigated the influence of a hydrophilic treatment surface on osteoblast differentiation and its effects on bone-to-implant contact (BIC) and bone area (BA). Two types of titanium implants were divided into two groups according to the surface characteristics: Hydrophobic (Control group [CG]) and Hydrophilic (Test group [TG]), and male mice of 3 month old received one in each femur to evaluate the effect of hydrophilic on osteoblast differentiation in Osterix-cherry mice. Fresh bone marrow was harvested from mices each group at sacrifice and Real-time polymerase chain reaction (PCR) was used to measure levels of several gene profiles (osterix, sialo-bovine protein, SOST, IL-1a and IL-10). The femurs were assessed at 14 and 21 post-op by nanoCT scanning followed by histology. Additionally, tissues were collected after 7 days for SEM and EDX analyses. Coloration of ALP to osteoblast colony was performed after collection of femur cells and culture for 14 days. NanoCT assessment revealed significantly more trabecular bone in the TG exhibited significantly greater than CG. Histological assessment showed that augmented bone in the test group in comparison with CG. Also, the amount of calcium deposited on the surface due to the mineralization process was higher for hydrophilic surface after 7 days. Consistently, in our gene expression studies, TG showed increase levels of expression analysis in showed that genes involved in the bone morphogenetic protein signaling, such as ALP, BSP, SOST and SP7, were significantly activated in the TG. Both surfaces were able to modulate hMSCs responses toward osteoblast differentiation; however, TG presented a better response when compared to the CG. Due to increased expression of genes related to the process of osteogenic differentiation, percentages of BIC and BA increased with time as well significant amount of calcium content was observed, one can suggest the choice of the hydrophilic surface in order to improve osseointegration process. Micropatterned Scaffolds with Immobilized Adenoviral Growth Factor Delivery Regenerate Bone and Periodontal Ligament-like Tissue in Vivo. J Oh, N M Kavanagh, S P Pilipchuk, N Yu, T Fretwurst, L Larsson, J Gerszberg, J V Sugai, A Christman, J Lahann, W V Giannobile. Periodontal disease destroys the supporting structures of teeth, but tissue engineering strategies can enhance clinical regeneration. The present study combined the regenerative strategies of patterned topography, spatiotemporally-controlled growth factor gene delivery, and cell-based therapy to repair a periodontal ligament (PDL)-bone interface. Micropatterned scaffolds were fabricated for the PDL region using polycaprolactone (PCL)/polylactic-co-glycolic acid (PLGA) and combined with amorphous PCL scaffolds for the bone region. Adenoviruses encoding platelet-derived growth factor-BB (Ad-PDGF-BB) or bone morphogenetic protein-7 (AdBMP-7) were immobilized on each, respectively, using chemical vapor deposition (CVD). The scaffolds were seeded with human cells and implanted in a periodontal rat model. The effects of dual and single gene delivery with and without micropatterning were assessed after 3, 6, and 9 weeks. Gene delivery resulted in greater bone formation at 3 weeks. Micropatterning ensured that regenerated ligamentous tissues had the thickness of native PDL. The combination resulted in more mature expression of collagen III and periostin, and in elastic moduli of regenerated tissues that were statistically indistinguishable from those of native tissue, while controls were less stiff than native tissue. Thus, combining scaffold micro-topography cues with localized growth factor delivery could significantly improve the regeneration of periodontal bone-PDL interfaces. Objective: Regeneration of alveolar bone lost to disease is often compromised by the systemic health of the patient. Clinical strategies to mitigate the effects of these complicating systemic disorders are currently limited, and new therapeutic targets are necessary to provide the optimal care to these patients. The primary hypothesis of this work is that GAS6 signaling promotes regeneration of alveolar bone through direct action on the osteoblasts and indirectly through resolution of inflammation. Methods:The effect of GAS6 on normal bone development was explored though the creation of mice lacking GAS6 expression. Histology and μCT were completed using Gas6 (+/+) and Gas6(-/-) mouse femurs. Differentiation assays were completed through isolation of bone marrow MSCs from Gas6 (+/+) and Gas6 (-/-) mice and differentiated in the presence or absence of NE for 21 days. To identify the effects of adrenergic signaling on paracrine factors secreted by OBs, a dot blot was completed to elucidate significant alterations in cytokine expression in response to adrenergic signaling in MC3T3 preosteoblasts. Results: GAS6 over-expressing MC3T3s showed increased expression of bone differentiation markers alkaline phosphatase, collagen 1A1 and osteocalcin. Soluble GAS6 promoted matrix deposition and expression of OB maturation markers in MC3T3 cells in response to OB differentiation media. A parallel reporter assay identified OB specific pathways RUNX1, BMP and ATF4 as transcriptional targets activated by GAS6 signaling. Together these results suggested GAS6 can activate OB maturation pathways and promote the development of mature bone. Paracrine signals were elucidated using a dot blot analysis showing downregulated cytokines: GAS6, M-CSF, and osteopontin. Confirming the effect of GAS6 on our model system, preosteoblasts isolated from GAS6-\- mice showed no significant change in alizarin red staining in response to NE signaling during maturation. μCT of femurs in these mice revealed decreased trabecular bone volume and histological sections showed an increase in adipocyte formation in the bone marrow. Conclusion: We have identified GAS6 as a novel mediator of bone development that is dysregulated due to systemic conditions. These studies are the first preclinical evidence that targeting the GAS6 pathway may be a viable route to promote bone regeneration in both healthy and medically compromised patients. Maresin 1 Accelerates Extraction Socket Wound Healing and Bone Regeneration for Alveolar Ridge Preservation. Background: Tooth extraction commonly results into bone resorption along with occasional infection, swelling and pain. Maresin 1 (MaR1) is an anti-inflammatory and pro-resolving lipid mediator produced by macrophages that promotes regeneration and relieves pain. The aim of this study was to examine the effects of MaR1 on wound healing and bone regeneration. Materials and methods: The maxillary right first molars of Sprague-Dawley rats were extracted and gelatin scaffolds were placed into the sockets with normal saline (vehicle) or MaR1 (0.1, 0.01, 0.002 μg/ul). Wound closures were evaluated every 2 days from day 6-14. Post-operative pain was evaluated utilizing Grimace scale (0-8), tube chewing score (1-4), and modified burrowing time. At day 10 and 21, the maxillae were harvested and scanned by microCT to evaluate bone fill and buccal ridge height. Histological analysis was done to assess re-epithelialization process. Immunohistochemistry staining of CD68 and CD206 were performed to differentiate M1/M2-like macrophages. Results: Local application of MaR1 accelerated wound closure. At day 10, complete wound closure was observed in 75% of the animals with MaR1 application compared to vehicle (34%). Under microCT, MaR1 dose-dependently stimulated bone fill compared to the vehicle (54 vs. 42%, p<0.05) at day 10 and less buccal bone vertical resorption (0.44 vs. 0.63 mm, p=0.06) was observed at day 21. Histological analysis indicated less wound opening and thicker epithelium with MaR1 treatment. Application of 0.01 μg/ul MaR1 resulted in an increased CD206+ to CD68+ macrophages ratio (0.98 vs. 0.72, p<0.05) compared to control. MaR1 reduced post-operative pain, observed via grimace scale (2.8 vs. 4.2, p<0.05), tube-chewing scores (3.1 vs. 2.2, p<0.01), and modified burrowing time (54 vs. 92 secs, p<0.05). Conclusion: Local delivery of MaR1 accelerated extraction wound healing, promoted socket bone fill, reduced buccal ridge height and post-op pain scores. Objective: The influence of biomechanical overloading on peri-implant bone loss has been widely discussed in recent years. However, bone remodeling and density distribution around dental implants often is not addressed in those models. The purpose of this project was to predict continuous bone remodeling surrounding dental implants using numerical simulation and to investigate long-term outcomes under biomechanical loading. Materials: Based on previous bone remodeling models, we developed a continuous finite element-based bone remodeling model to investigate the longitudinal biomechanical impacts around a dental implant in response to mechanical stimulus: 200 N axial load and 100 N lateral load. The model assembly included a bone-level parallel dental implant, a single screw-retained implant-supported crown, and the peri-implant bone tissue. To model type III bone, the bone tissue model consisted of an outer layer of cortical bone (thickness of 1 mm) and an inner core of trabecular bone. The results of the finite element analysis (FEA), including equivalent strain distribution and the rate of bone density changes were examined at different intervals within 24 months (720 days) after function. Result: Our model utilized the immediate change in the material state from microdamage accumulation due to excessive strains to predict the bone density distribution around the implant. For the oblique load, the cortical bone presented a significant increase in strain compared to the trabecular bone. Significant changes in bone density was observed at the beginning, indicating the initial bone remodeling following loading. The remodeling rates decreased and became steady at the end of the experimental period. Conclusion: With aid of computer technology, the investigation on the longitudinal biomechanical effects on dental implants could benefit the prediction of long-term outcomes and prognosis. The preliminary results of the model suggested a phenomenon of bone tissue adaptation under functional loading, which confirmed the current understanding via FEA. Calibration with the existing data is currently under investigation. Human Papillomavirus (HPV) is the most common sexually transmitted virus in the United States. There are a variety of cancers that are associated with HPV including oral and pharyngeal cancers (OPC). Health professionals often perform oral cancer screenings and inform the aging population of oral cancer and OPC; however, as more cases of HPV are being diagnosed, the frequency in the adolescent and young adult population also rises. It is evident that prevention is critical to decrease the escalating occurrence rate. Vaccination is known to be the most successful method for prevention of viral infections. The most recent vaccine, Gardasil-9, has proven to be effective. It is important that oral health professionals feel comfortable and confident when recommending these vaccinations. Oral health providers should also remain knowledgeable on the subject matter. In this review, we provide an overview on the prevention methods for HPV-associated head and neck cancers. We discuss the factors linked to head and neck cancers including prevalence, risk factors, and clinical features. We also review the current HPV vaccines, specifically Gardasil-9, and its range of protectiveness and side effects. Of special interest is the complimentary social event at new Michigan Golf Course Club House on Friday night. The reception will be held on both the second floor and weather permitting on the lower level outside terraces. Complimentary Beer and Wine & Light hors d'oeuvres will be served. The University of Michigan Golf Course was designed in the late 1920s by Alister MacKenzie, one of golf’s all-time great architects. The regents unofficially opened the course in the fall of 1930 as the first golfers to play the new U-M Golf Course. The course officially opened in the spring of 1931 and immediately drew praise as one of the finest in America. At the time of its opening, the University Golf Course became just the fourth course to be located on a college campus. The U-M Golf Course is one of a select few MacKenzie-designed golf courses in the United States. The famed Augusta National is another. A multi-million dollar renovation completed in the spring of 1994 restored the grandeur of the University Golf Course to the ranks of MacKenzie’s other classics. Orchestrating the restoration was Arthur Hills, a Michigan graduate and one of the foremost golf course architects in America. As an admirer of MacKenzie, Hills understood his focus was not a new course in Ann Arbor but a return to MacKenzie’s intent. The U-M Golf Course has also hosted postseason tournaments, most recently hosting the NCAA Men’s Golf Regional in 2012. Overall, U-M has hosted three NCAA Regionals and one NCAA Final (1947) as well as 12 total Big Ten Championships — nine men and three women. The Horace H Rackham School of Graduate Studies is located at 915 E. Washington St., Ann Arbor, MI 48109. The trip between the Detroit Metro Airport and Ann Arbor takes about 20-30 minutes. Taxi costs around US$ 50. They usually take 3 people (it is not necessary to make reservations for the taxi). Other options include Lyft, Uber, and a shuttle, the most economical option. June is one of the hottest months for Ann Arbor. Temperatures range from 62°F to 83°F. Precipitation can range from light rain to thunderstorms.